Have you heard or seen someone discussing about MTN call barring service, and as a result of that you became confused because you don't know about it. You need not to be bewildered anymore, as I introduce you to what it's all about. How does Call Barring work? 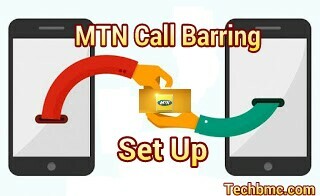 With MTN Call Barring, you can Control the type of calls being made or received with your MTN Network number/line. The numbers which you don't want to receive their calls on your SIM card, once you set up the barring service, you will no longer receive (incoming) or outgoing calls provided that such number is set up to be barred. The need of this service may arise for any purpose you so have in mind. Below is how you can activate this call barring service. 1. First, you need to check if your cellphone has the features of this call barring. You can see the feature when you goto your settings >> Call Settings >> and then Call Barring. This is done to check if the mobile phone supports this feature called call barring. Although, it's mostly seen on small phones like Nokia touch and some android devices. 2. If your device supports this service, then next is to contact your Service Provider (MTN), In order for them to activate the service for you. Also know that, the default four-digit barring code is 0000, but you need to change the code to your own four easy and able to recur code/pin before proceeding to the task ahead. The Latest Internet Configuration Settings For Glo To Browse On All Android Devices. How To Set A Modem APN Settings For Browsing On PC With MTN, Etisalat, Glo, Airtel. This service gives you the option to block making or the receiving of domestic calls. This service becomes so useful when you are out of the country (overseas,) Now when you are out there, any call you are receiving will also be charged from your account, so if you don't want to keep on paying for calls you are receiving as in incoming calls, then you have every need to block some incoming calls. You can still phone out but all incoming calls will be diverted to your VoiceMail. Here, you can as well stop outgoing calls made to a specific number or list of numbers. Also check if your mobile phone supports this service. Does MTN Network Charge For This Service? The service appears to be free to some packages or tariff plans, while some packeges, this appears to vary in cost. Also similar to international numbers as in the country you are at the Moment, varies in cost too. Even if the service provider is charging for the service, just have it in mind that the price is a sachet pure water fee, as in so cheap to pay. We love comments, do well to comment below, thank you.